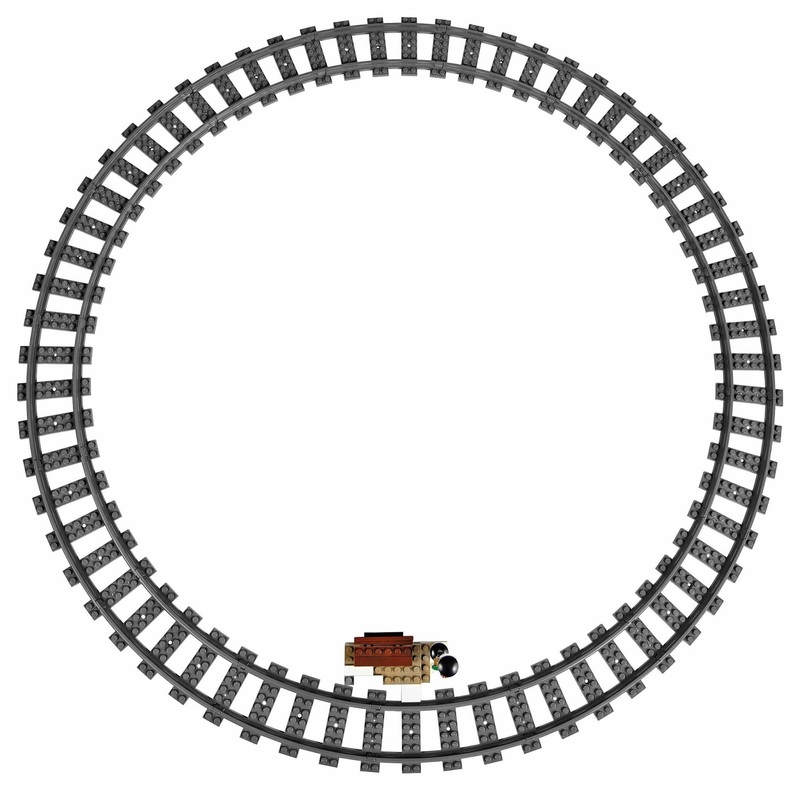 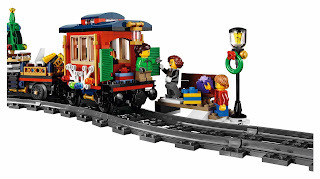 come with a winter holiday train. 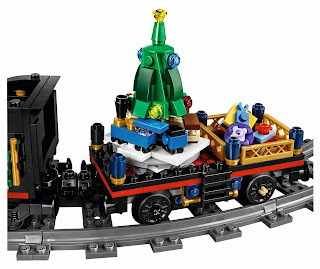 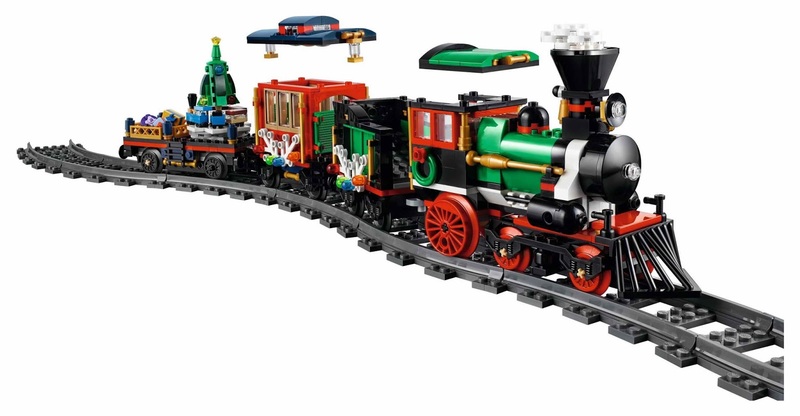 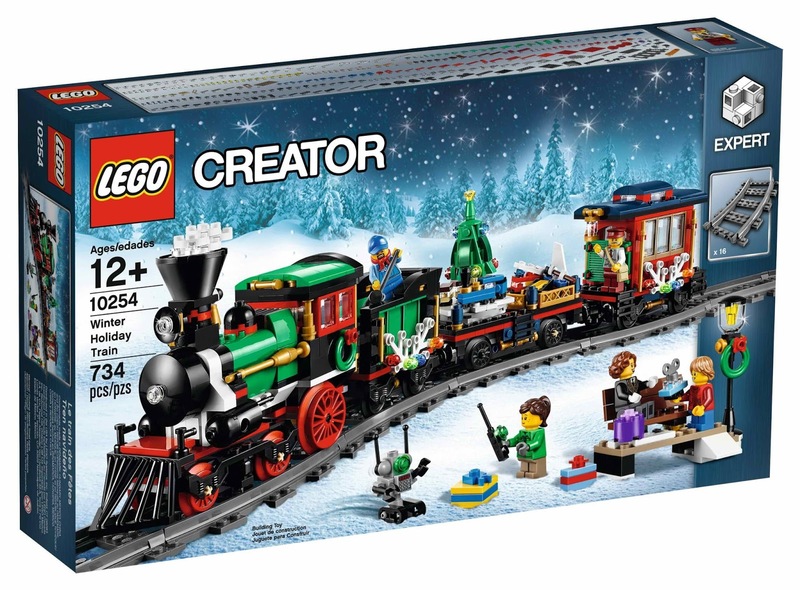 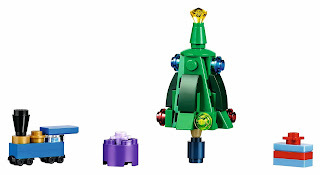 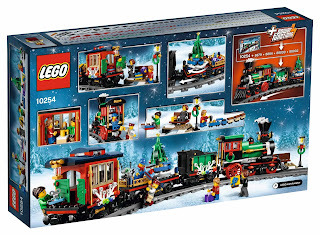 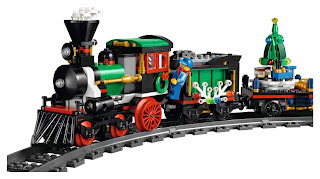 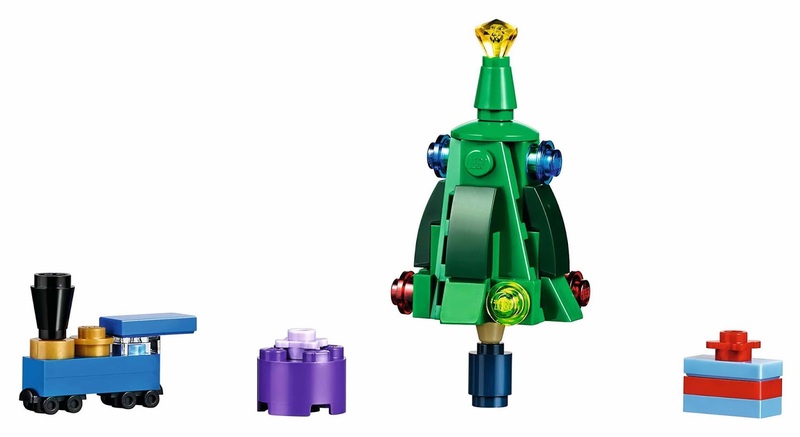 the train has 16 curved pieces of track, an engine, a coal tender, a flatbed wagon with rotatable holiday tree, toys and gifts, a caboose, a boarding platform, a bench and a lamppost. 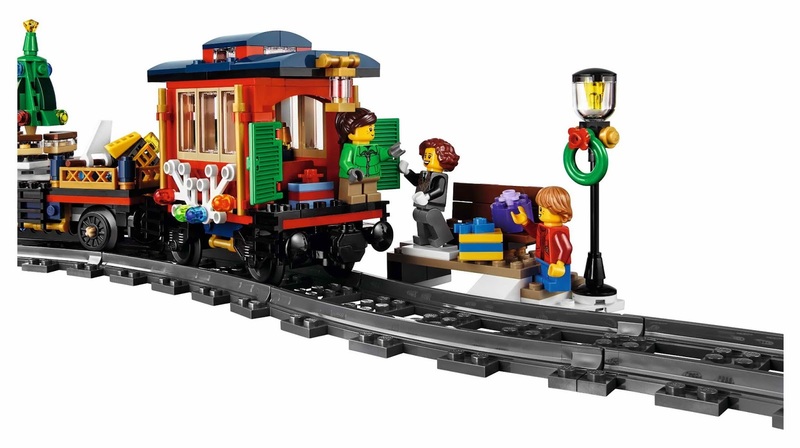 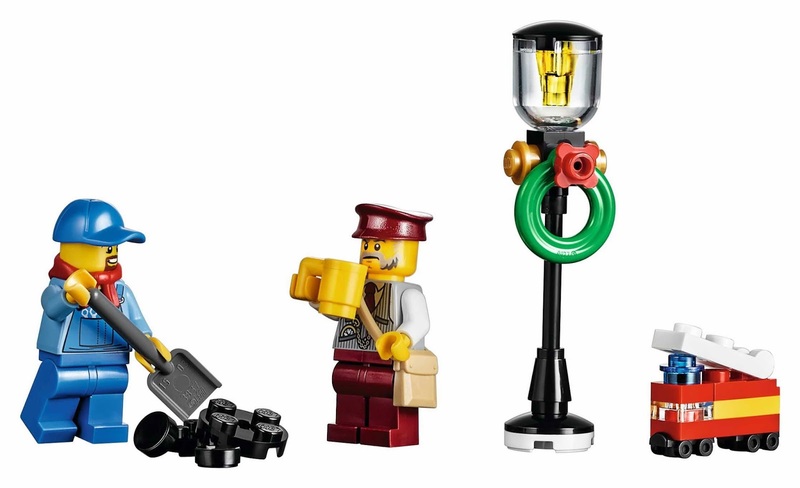 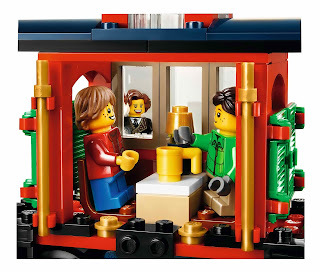 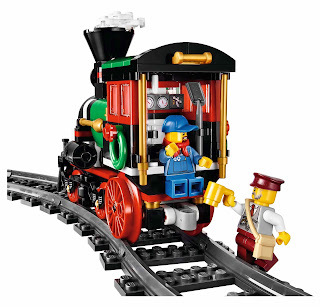 minifigs included a locomotive driver minifig, a ticket collector minifig, a grandmother minifig, a boy minifig and a girl minifig.